Last year, Chinese YouTuber, Miss Yeah’s videos kept popping up on my social media feed. Her videos saw her using everyday kitchen ingredients as makeup; for example, a mixture of rice flour, cocoa powder, and sesame oil as foundation. Her creativity and guts left me in awe. Although I’m a major foodie, I draw the line at putting edible food on my face. Food-inspired makeup, however, is a different thing. 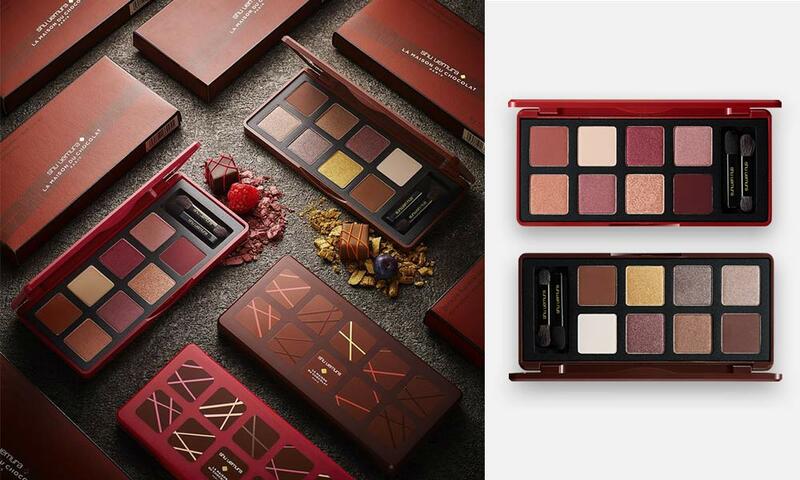 Especially when it combines the two things I love: makeup and chocolate. 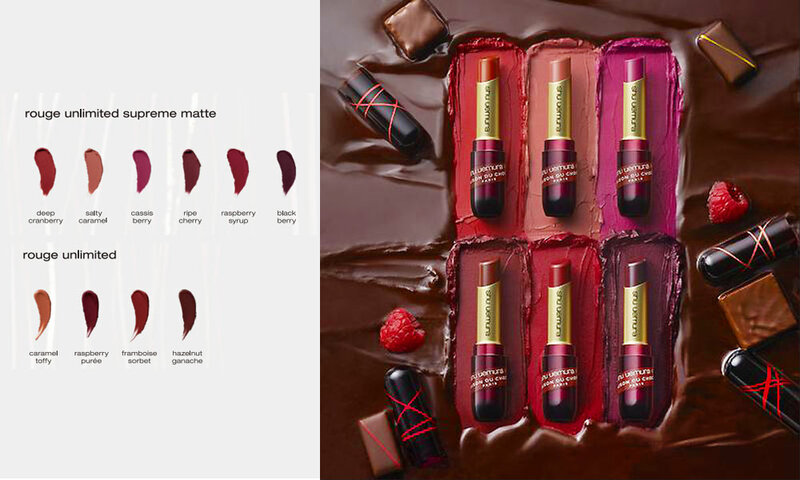 Shu Uemura’s latest gourmet holiday collection, a collaboration with French Parisian chocolatier house La Maison du Chocolat, is a deliciously beautiful collection. Here are our favourite picks. Warning: The following pictures will awaken your inner chocoholic. 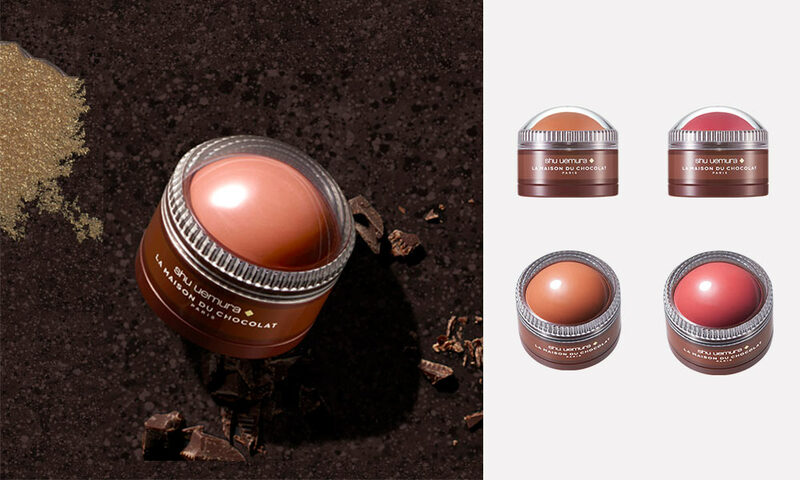 Shu Uemura’s iconic Rouge Unlimited lipsticks are like a decadent chocolate fountain in stick form. With its rich cocoa fragrance and flavour, Willy Wonka would be proud. The eyeshadow palette is #packaginggoals. With the luxurious chocolate scent and sleek packaging, you can fool someone into thinking this is a bar of chocolate you toted back from La Maison du Chocolat in Paris. P.S. : We think this will make a wonderful Christmas gift. 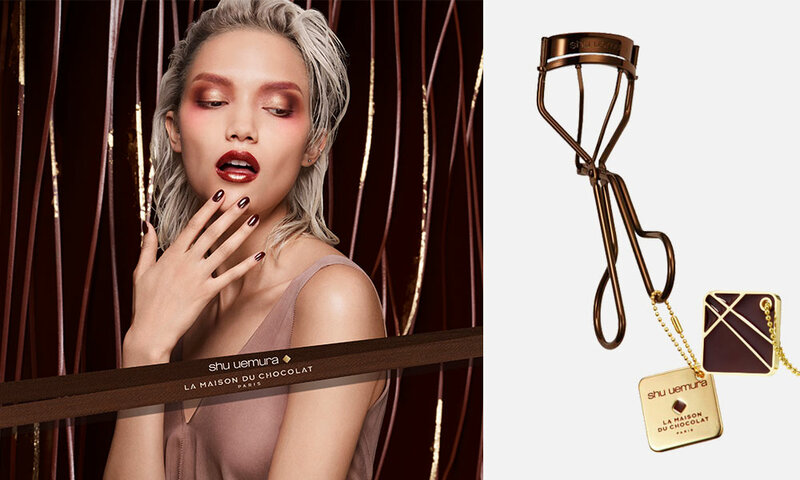 Shu Uemura’s eyelash curler is a beauty staple that has saved many from the fate of having stick straight lashes, and it now comes in a glorious chocolate gold shade. Perhaps it’s time to retire your old eyelash curler, and treat yourself to a new one. This one’s for those with a sweeter tooth. These macaron-shaped cream blushers come in two shades, rose petal macaron and passion fruit macaron, to instantly brighten your cheeks. You can also use them on your eyes and lips. Shu Uemura’s 2018 holiday collection also includes a metallic lip liner (S$38), coloured brow mascara (S$47), shimmery powders (S$50), brush set (S$125), hatbox (S$550), and cleansing oil (S$65 for 150ml) in a limited edition chocolate-inspired packaging. 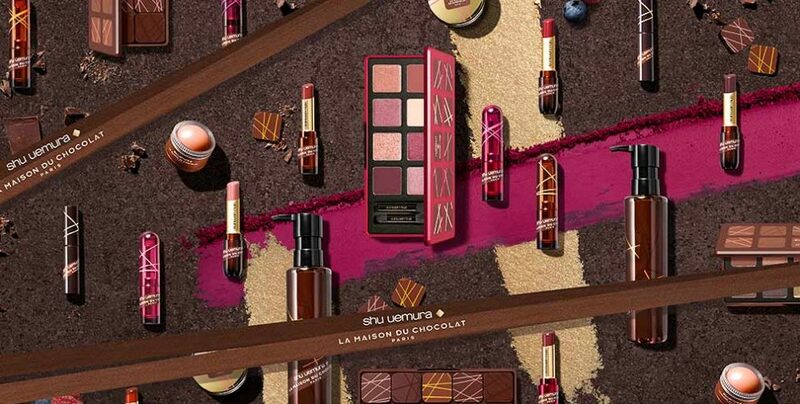 The Shu Uemura x La Maison du Chocolat holiday collection will be pre-launched on Tangs.com and at the Shu Uemura flagship boutique, #B2-40, at ION Orchard from 25 October 2018, and officially launched islandwide from 1 November 2018.